Experience the most popular resort destination in the Bahamas – Atlantis, Paradise Island, featuring the world's largest open-air marine habitat; Aquaventure water park, where you will find the iconic Mayan Temple's Leap of Faith slide; 11 unique pools; renowned beaches; 18-hole golf course; the largest casino in the Caribbean; over 21 restaurants, 19 bars & lounges and Aura nightclub. 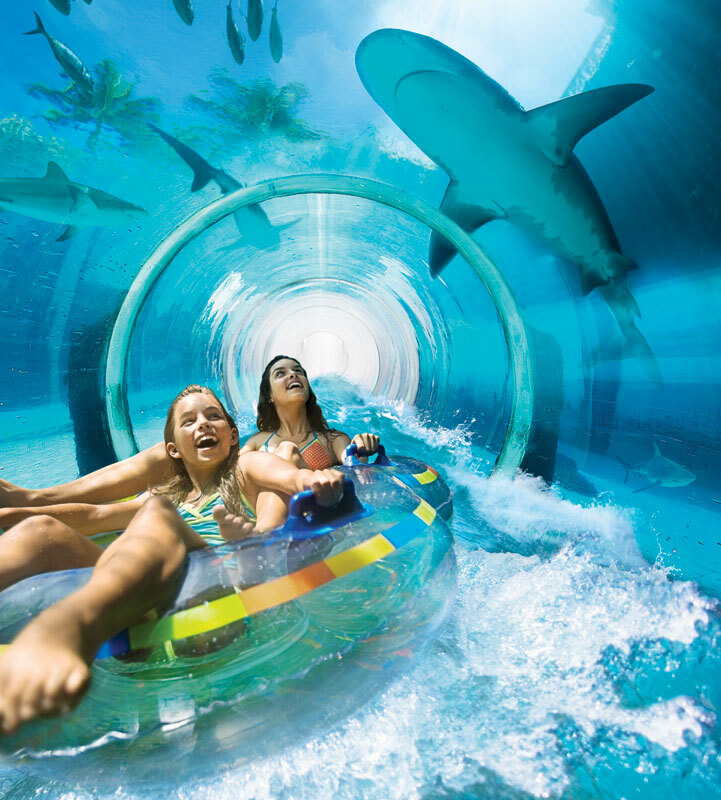 Atlantis also offers a multitude of unique accommodations, including the iconic Royal Towers, the stylish and chic The Cove Atlantis and the luxurious residential setting of The Reef Atlantis. Perfect for families, couples and singles – here you will find something for everyone. ​Inquire about air-inclusive packages and promotions. Pricing noted is per person, based on double occupancy. Triple and Quad occupancy rates available upon request.